This galleries contain images from the last ten years of activities and developments at the Picket. 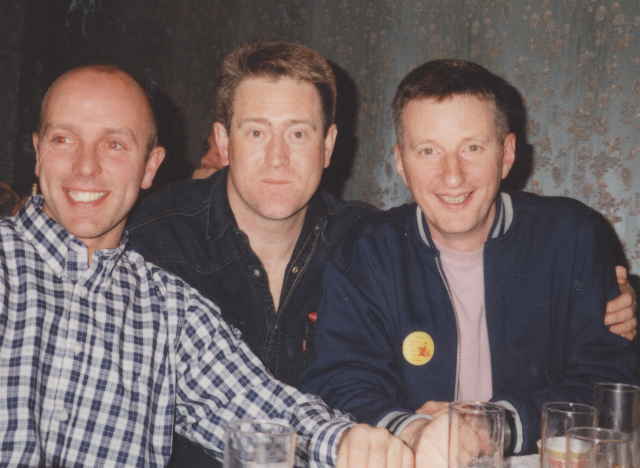 Left to Right: Tony Melia, sacked docker, Phil Hayes, manager of the Picket and Billy Bragg before Billy's 1994 benefit concert at John Moores University. 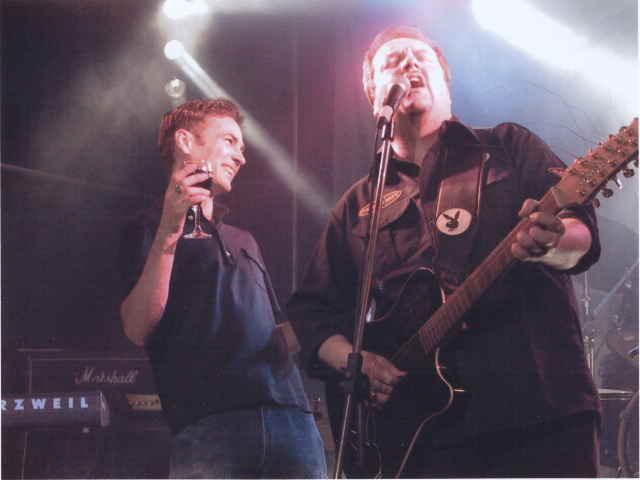 The concert raised £3,000 for the sacked dockers and their families. 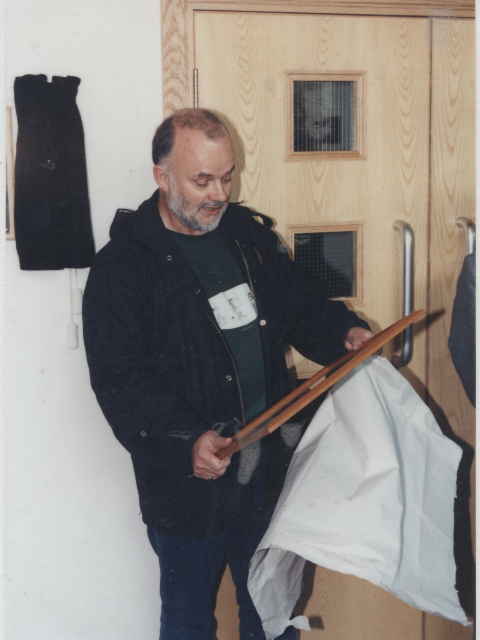 John Peel receives a photograph of Bill Shankly when he re-opens the refurbished Picket venue in October 1996. 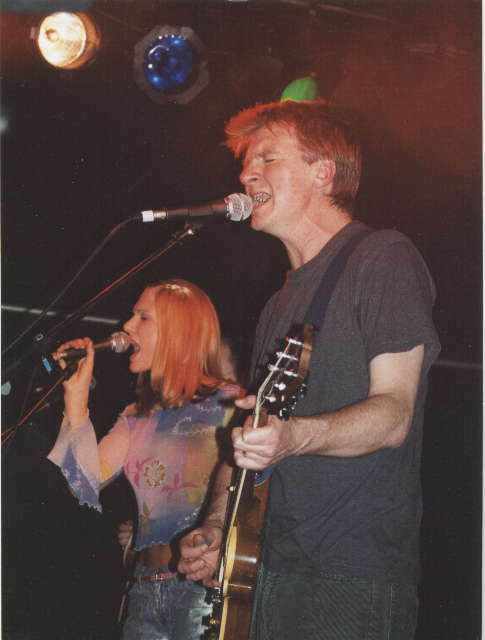 On 26th October 2004 at the Liverpool Empire Theatre Neil and Tim Finn appeared. 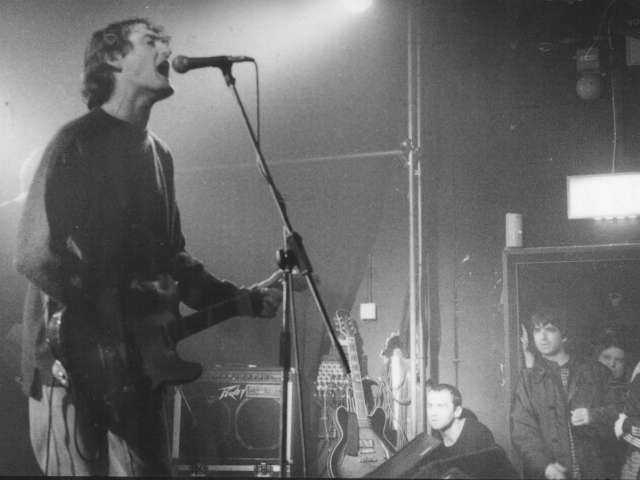 For their encore they were joined onstage by Johnny Marr (ex The Smiths). They mentioned the sad news of John's death. They were about to perform a song for him when I shouted from the audience 'Do Teenage Kicks'. I dont think they knew the song, so I shouted 'Johnny you must know it'. So Johnny Marr performed John's fave song onstage in his spiritual home Liverpool- the crowd danced and sang- goodbye John from your friends and all the bands in Liverpool he helped so much. 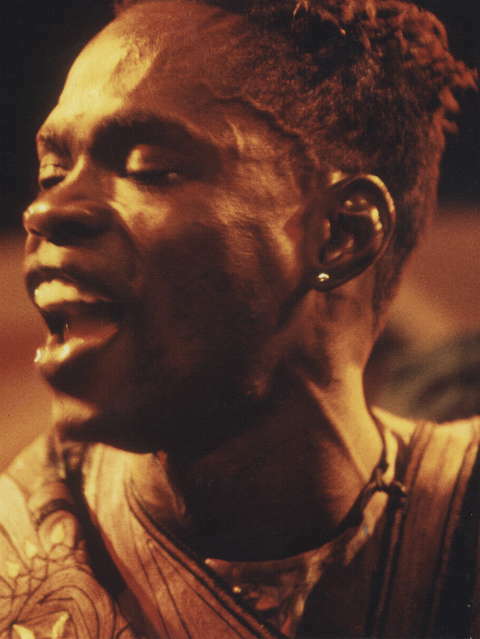 He was loved in Life and will be remembered with great affection. Deepest sympathy to Sheila, his kids and Archie the grandkid. 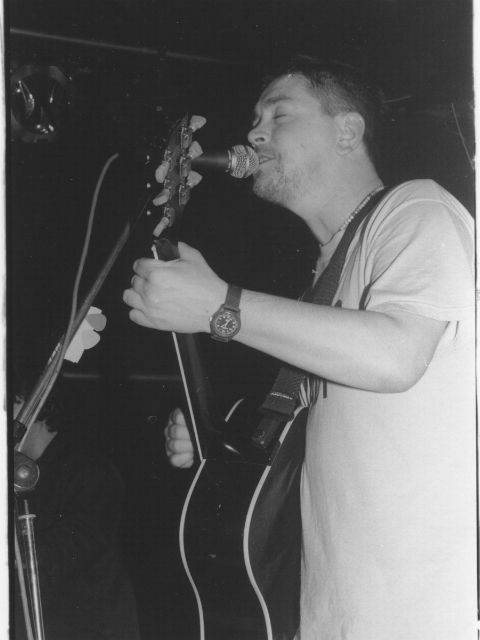 Digsy, from SMALLER at the Picket, October 1996, Noel Gallagher in doorway.